There is always a certain amount of care and planning that goes into any new type of session. And for 2019, I am so excited to announce “Signature Headshot” Days, which will finally cover the needs of business professionals who need an updated headshot, but don’t have the time for a more involved portrait session. So, what is a “Signature Headshot”? A Signature Headshot is the professional Studio portrait created in the style that you see throughout my website. And it might be odd to consider that the style actually matters when it comes to a headshot, but looking around at other photographers, you can probably tell that what you’re seeing on my website looks a bit different. Most of all, it’s a guarantee that your headshot will look like the images you see in my portfolio. The lighting will be bright and flattering (with some adjustments and considerations made to the difference between female and male features), clothing will be selected and styled to create a classic and non-distracting portrait, and natural retouching will make sure you like your photos in the end without them looking plastic or overly fake. If you’re a professional, whether you work for a large firm, private practice, or run your own business, you probably need a good-looking headshot for LinkedIn, social media, and potentially a website. The indisputable fact is, any potential client or employer will look you up online. They will see your profile photo and very quickly decide whether you are trustworthy, friendly, and worth doing business with. And it’s for people who don’t need a full session. You literally only need 1 hour of your time, and you will walk out of the Studio knowing you have an awesome headshot that you love (more on that below).. and because it’s a shorter session without all the bells and whistles of my family or personal branding photoshoots, it’s also a very economical option for those of us who want quality first and foremost. The best part is that the session fee includes 1 fully-retouched image of your choice (with the option to purchase more images if you like). Not only that, but we will do 2-3 different looks with different background colors, so you have options - use one for your website bio, another for LinkedIn, and a more friendly expression for Facebook and Instagram. The session also includes personalized wardrobe styling, posing instruction (so you look your best in every shot), and professional retouching to whiten teeth, downplay any wrinkles, and smooth out your skin tone. There is a lot that is packed into the session, with help and guidance every step of the way. When you arrive at the Studio, you would have already received several emails with instructions on what to bring and how to prepare. You will bring several outfit options with you, which we will go through and pull out the best 2-3 options for your headshots, based on how and where you will be using the images. We will then select background colors to go with the clothing, and any jewelry you’d like to include, in order to create the final style for your portraits. You will spend about 30 minutes in front of the camera (so about 10 minutes per outfit, and because we’re in a Studio we have a convenient area for quick changes). You will receive posing direction and we will photograph you sitting and standing, with a variety of expressions. At the end of that 30 minutes, we will sit down together and go through your photographs one by one to arrive at your final selection. The biggest benefit of doing the selection right after the photoshoot is that you know, before walking out of the Studio, that you have a headshot (or several!) that you like. There is no wondering or anxiety about having spent money on something that might not turn out well. And speaking of which, there is a Satisfaction Guarantee as well, so if for any reason you don’t end up loving at least one of your photographs, you will receive a full refund! How quickly are the images delivered? In the world of headshots, we often seem to need things right away (if not yesterday!). Which is why turnaround time is so important. Your images are guaranteed to be in your email inbox within 48 hours. Once you select your final set of headshots, they will be retouched, exported in a variety of formats (high resolution jpegs, square crop optimized for social media, and web-sized, in both color and black and white, so you have everything covered without any extra work), and emailed to you. And if you feel that any additional retouching is needed, just let me know - unlimited revisions are included. Because these are shorter sessions, with an economical price point, I can’t offer them at any given time. They are only available on dedicated days so that I can serve multiple clients consecutively. When the next date is available, you will see a little callout at the top of my website and a section called “Specials” in the navigation menu. I block out the entire day for these headshot sessions, but if there’s a specific time that works for you, be sure to book early to reserve it. There are many headshot photographers out there and you definitely have plenty of options to choose from. The biggest hurdle potential clients have when considering whether they’d like to work with me is the price. Often we want to spend as little as possible on a headshot because it simply doesn’t seem to matter. We want it done, out of the way, and pay as little as possible. And I totally get that! If, to you, your headshot is just a picture, if you typically like the way you look in photos, and don’t see what all the fuss is about.. then I’m simply not the right photographer for you (and you probably won’t enjoy the amount of attention that will be paid to all the little details). But if you have that burning ambition for success and want a headshot will set you apart from your competition.. 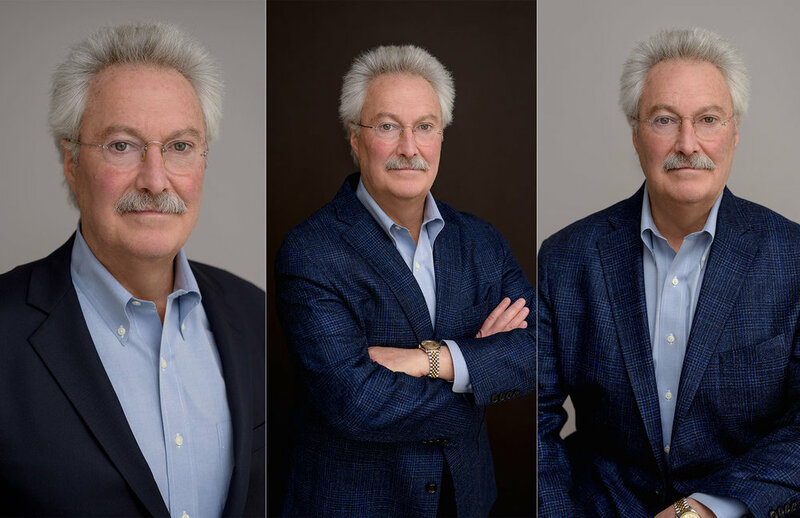 If you feel like you aren’t very photogenic and can use some help from an expert professional, a Signature Headshot Session just might be the answer for you. If you don’t see the SPECIALS section at the top of the website, feel free to email me at info@nlalorphotography.com with any questions about when the next planned session will be (they happen about once every two months, but sometimes I can open up another day if there’s enough interest), or sign up for my email list, which will always notify you of specials and events in the Studio.